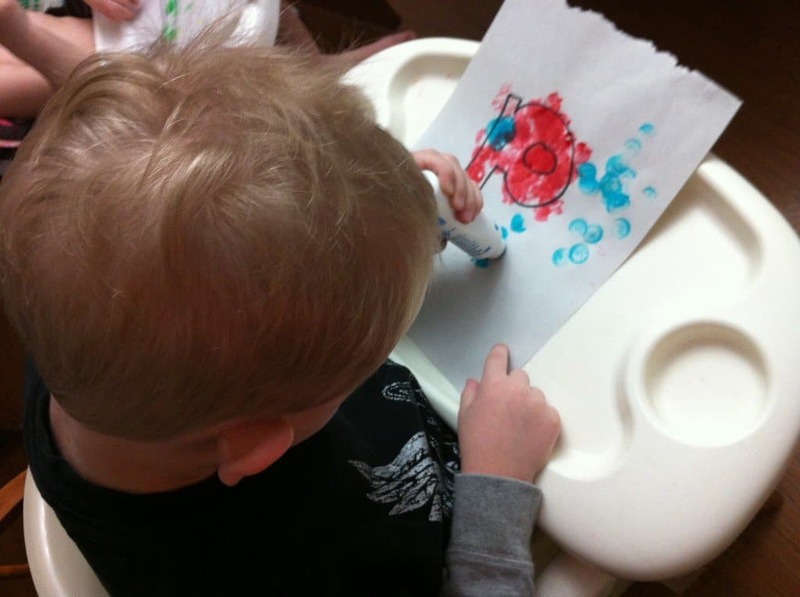 I’m starting a new weekly review of our homeschool preschool activities. I want a way to keep myself accountable and also to have a record of the things we are doing here at home, and I’d love to give you a peek at everything we have going on! We are going to be starting off with showing you what we accomplished this month in our November Homeschool Preschool Week in Review. Between the birth of our third baby and my husband’s deployment, we did not do anything on a regular basis. We were able to sneak some things in, though! 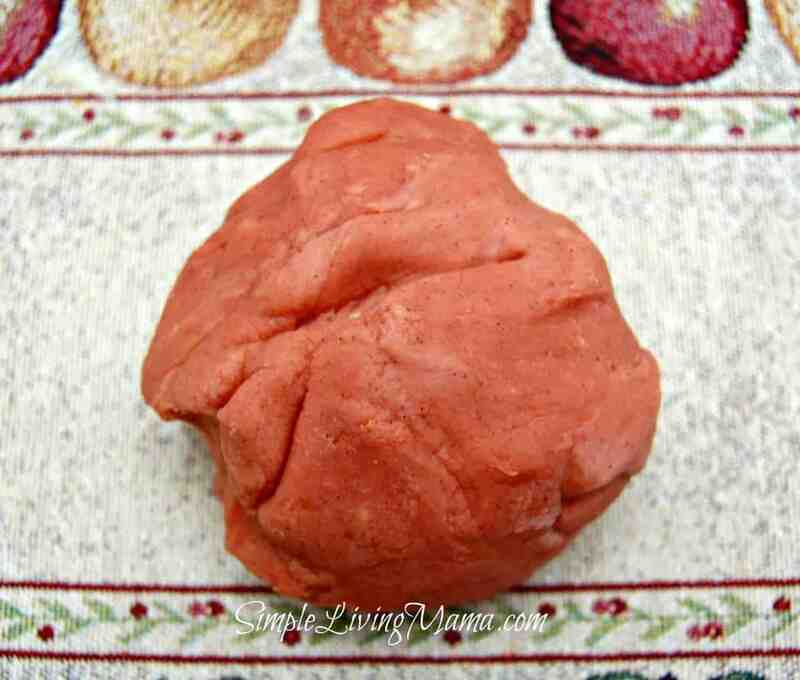 First up we made pumpkin pie play dough. 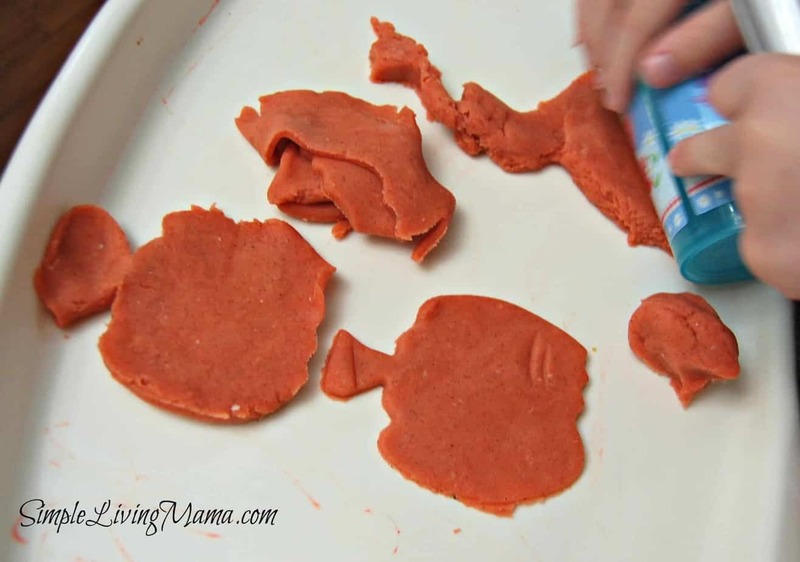 It was super easy and the kids adore homemade play dough and cookie cutters. They were with me from mixing everything up through playing with the finished product. I don’t think I’ll ever buy play dough again. We worked with the letter P. I made a do-a-dot page for Bug to fill in of the letter P. We talked about the sound P makes as well as words that start with P like pumpkin and pilgrim. We also worked with the letter B. We practiced tracing it and naming objects that begin with the letter B.
Bug is really excited to start working with the computer. We found the website Starfall.com and he loves it. We are working on letters and pre-reading exercises with this website. I’m planning to set him up with an old laptop and make sure the mouse is connected to it so he can start learning to use the computer on his own. As of right now I have been guiding him. I drew lines on plain paper for Bug to practice cutting. He LOVED this activity and he did such a good job. I drew straight lines, curved lines, and zig zag lines. This is a no-brainer. I’m praying for my husband. I’m praying that the days go as smoothly as possible for both of us!